In November 2017, United Nations Member States reached consensus on a comprehensive set of global performance targets to measure progress and address road safety key risk areas. It includes 12 performance targets that are aligned with the Sustainable Development Goals 3.6 and 11.2 and the Global Plan for the Decade of Action for Road Safety 2011–2020. It is the Member States’ responsibility to meet these targets, but Alliance Member NGOs have, at country level, an important role to play in supporting delivery, monitoring progress, and holding their governments to account. We know many NGOs are still unsure of what the targets are, what they mean, and how they can be translated to tangible actions and direction. To address this, we are creating three webinars for Alliance members and interested partners. They aim to show simple activities that can support delivery, monitor progress, and, overall, contribute meaningfully to the Sustainable Development Goals. Webinar 1: Introduction to global road safety targets — the World Health Organization (WHO) will give an introduction to what the global road safety performance targets and indicators are, what they mean, how they are important to NGOs, and how WHO sees the role of NGOs. Webinar 2: How to plan my advocacy for my country’s national action plan. Target 1 of the voluntary targets addresses national road safety action plans that most countries should already have in place. Get advice on how to work with governments on a national action plan and using the action plan to advocate for further action. In this webinar, Alliance member Bright Oywaya, ASIRT (Kenya), will present her work on advocating for a national action plan and give ideas on how NGOs can plot their own work. Webinar 3: A practical example of advocating for a national action plan — This webinar, led by Alliance member Vusal Rajabli, president of AMAK (Azerbaijan), will take participants through a practical example of NGOs working with their government on a national action plan. Register HERE to be notified about the next phase of webinars in this series. 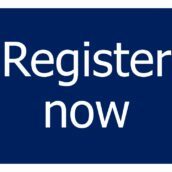 If you have already signed up for the NGOs and the Voluntary Targets webinar series, you do not need to register again. Read more about the next phase of webinars, which will look at each of the targets in turn HERE. In this webinar, Bright Oywaya of ASIRT Kenya shares her experiences and tips on advocating with government. Vusal Rajabli, AMAK, describes the process of implementing an action plan in Azerbaijan and how NGOs can get involved.